Judith Mahoney Pasternak is a New York activist and the author of several books on travel and popular culture, she now writes about movies for The Indypendent, New York’s Indymedia newspaper, and about traveling in the political dimension on her blog, “The Political Landscape”. In 1991 Judith Pasternak, New York was one of several hundred Communist Party USA members to sign the a paper "An initiative to Unite and Renew the Party"-most signatories left the Party after the December 1991 conference to found Committees of Correspondence. In 1992 Judith Pasternak, managing editor, the Guardian, New York, endorsed the Committees of Correspondence national conference Conference on Perspectives for Democracy and Socialism in the 90s held at Berkeley California July 17-19. At the Committees of Correspondence Conference, July 19,1992, Pasternak was a candidate for the CoC NCC. Judith Pasternak has written for "progressive" publications such as New Directions for Women and On Our Backs, she had been head of women's programming at WBAI and managing editor of The Guardian radical newsweekly. Judith Pasternak was a veteran organizer, particularly in the anti-Vietnam War, women's, and lesbian and gay movements. This experience informed her judgment in the sometimes delicate negotiations involved in representing the War Resister's League in coalitions and in organizing actions such as A Day Without the Pentagon in Washington, DC, in October 1998. 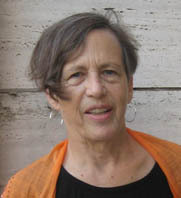 In 2005 Judith's announcement of her retirement as editor of the War Resisters League publication Nonviolent Activist, after 10 years of service. Judith was a tremendous asset when it came to the WRL's internal organizational development. She was always an active participant in National Committee meetings, for example, writing and organizing support for a proposal reaffirming and strengthening WRL's commitment to antiracism. She even stepped in for six months to work full-time as coordinator of the national office. Judith Pasternak has traveled to the West Bank on a delegation with the California-based Middle East Children’s Alliance. This page was last modified on 13 December 2014, at 23:57.